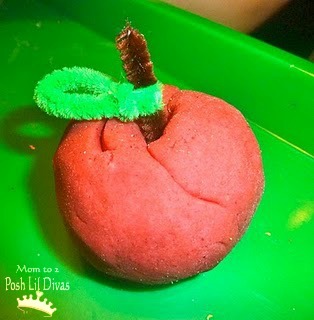 Google+ Mom to 2 Posh Lil Divas: Apple Crafts, Food & Fun! 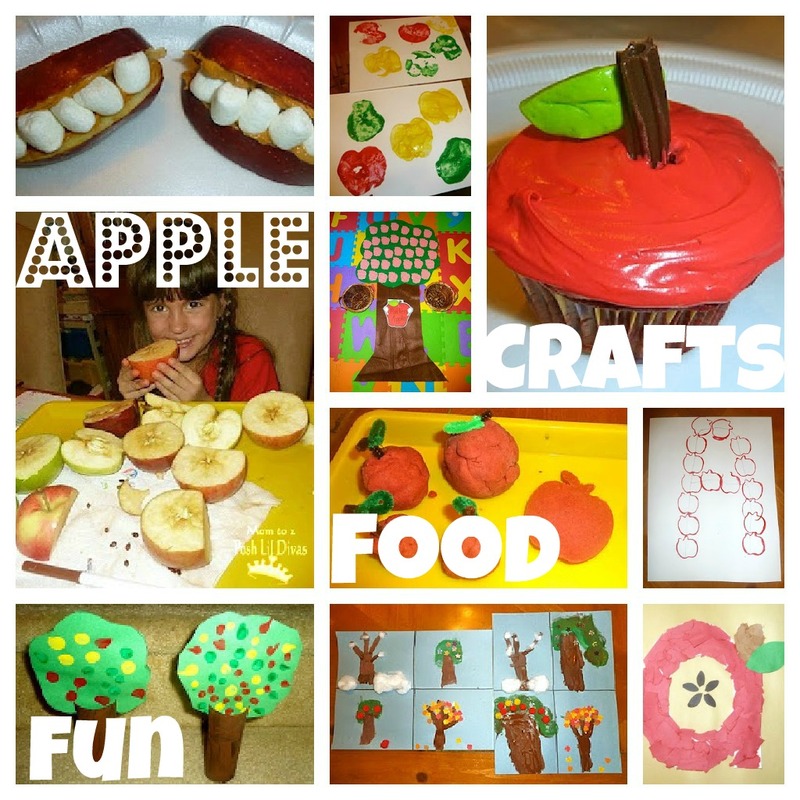 Apple Crafts, Food & Fun! 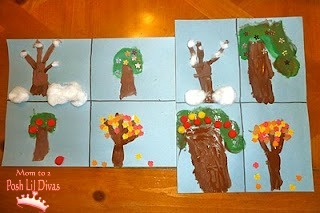 Back to School is almost here and fall is just around the corner. 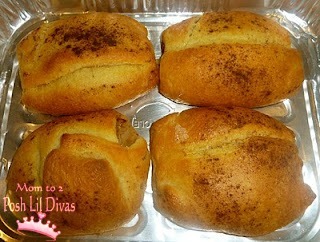 I don't know about you but that makes me think of apples and I love apples. 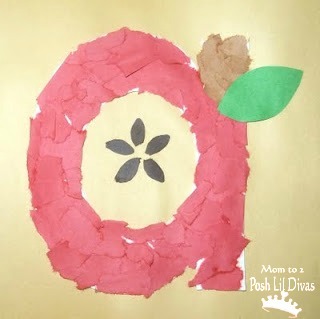 I thought it was the perfect time to share some of our favorite apple themed crafts, learning activities, food/snacks and fun. 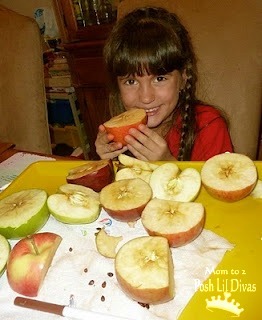 buy as many different apples as you can find and taste & compare them. Which are your least favorites? 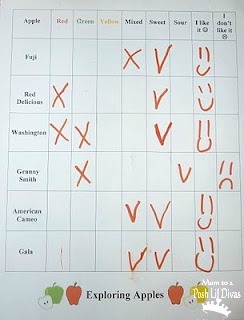 of the results of our taste test. 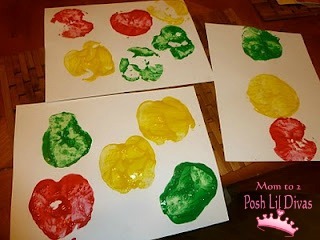 try some apple stamping with the leftovers. you'll get a few varied prints/designs. 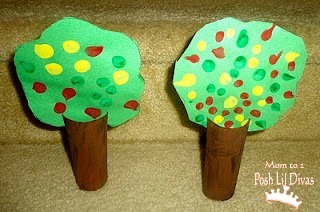 Looking for an easy craft for even the littlest hands? 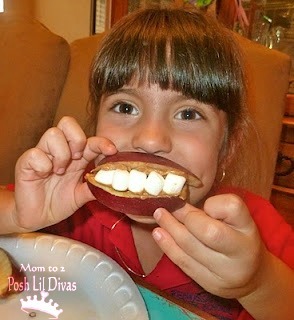 Kids will enjoy eating & making these fun Apple Smiles. 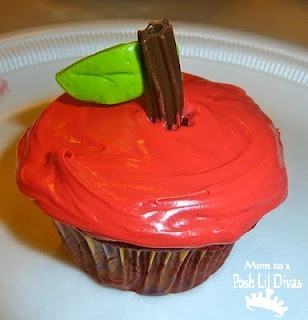 or these fun Red Velvet Apple Cupcakes. 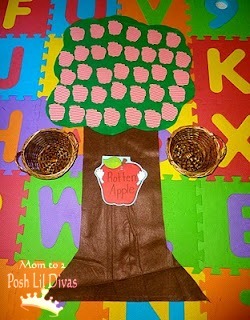 Apple Themed Books with you. Love all those ideas, especially the cupcakes! Thank you for sharing your great ideas! 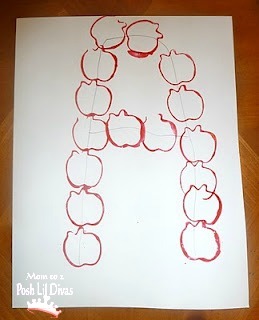 I'm in the midst of planning apple week and preschool and you've given me some great new ideas! Wow! A great selection of Apple-y fun and activities! Thanks so much for sharing all of your ideas. They have came in really handy while creating lesson plans for my college classes. Great ideas! Looking great work dear. These tips may help me in the future. If you are looking for someone to do your assignment work and meet the requirement before the deadline, then you are at the right place. Avail the buy essay service from GoAssignmentHelp Portal.